The new ordinance comes as Seattle has become the fastest-growing big city in the nation and studies show that people on the move vote at lower rates. Landlords will be required to provide new tenants with voter-registration information under a new ordinance approved by the Seattle City Council. The council voted 6-0 on Monday to approve Councilmember Kshama Sawant’s proposal. Three council members, Mike O’Brien, M. Lorena González and Tim Burgess, were absent. Property owners already are required to give tenants an information packet on housing laws, prepared by the city’s Department of Construction and Inspections. Landlords have the option of downloading the packet online and printing it out. 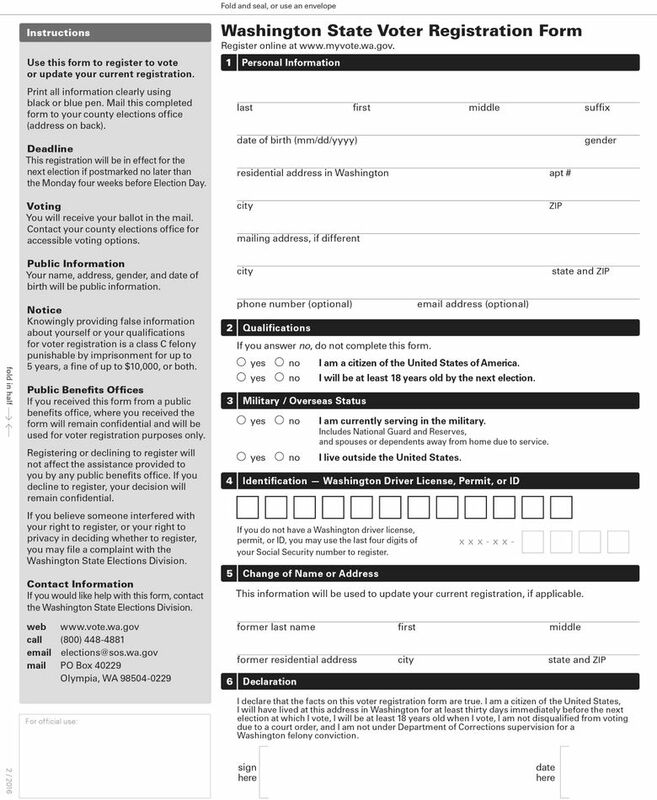 Now, landlords will need to add voter-registration information to the packet. It will take effect 30 days after Mayor Ed Murray signs it, according to a council spokesman. Studies have shown that people on the move vote at lower rates, the ordinance says. While 41 percent of renters in their homes for more than five years reported voting in 2014, only 21 percent who had lived in their homes for less than one year reported voting, the ordinance says, citing U.S. Census Bureau data. Seattle is the fastest-growing big city in the country, according to a Seattle Times analysis of Census Bureau data released this past month. From July 2015 through July 2016, the city had a net gain of nearly 21,000 people — 57 per day, on average. Representatives from a number of community and nonprofit organizations supported Sawant’s proposal, including the Tenants Union of Washington, the Capitol Hill Community Council, The Washington Bus and LGBTQ Allyship. The proposal has met with a mixed reaction from landlord groups. A statement on the Rental Housing Association of Washington’s websitequestions why the measure to boost voter participation involves only renters. “While homeowners are more likely to be registered, data also shows that far less than 100% of homeowners are registered,” the website notes. “City voter registration outreach, at a starting point, should be enhanced by including this same information with all utility bills, at all city-endorsed events, and included with all city emails. Brett Waller, spokesman for the Washington Multi-Family Housing Association, which represents larger landlords and property managers, sees value in what the council did and in thinking more broadly about how to reach potential voters. “Can property managers help increase voter registration by providing one packet containing the summary of laws and voter registration information to tenants? Absolutely,” Waller said in an email.